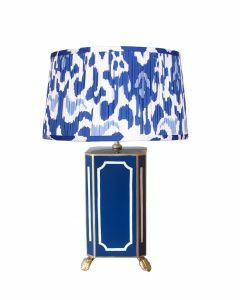 Illuminate your home with this gorgeous Blue and White Hand Painted Cherry Blossom Porcelain Table Lamp. 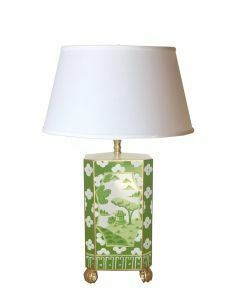 It measures 7.5w x 7.5d x 34h and includes an off-white linen shade that measures 17”top x 18” bottom x 12”side. Click on images for greater detail.